(PTI) India may not accept international arbitration orders annulling tax demands on British firms Vodafone Plc and Cairn Energy, a senior official said, adding the tax department would continue with recovery actions. The government, he said, believes that taxation is not covered under bilateral investment protection treaties, which the two British firm have taken refuge under to initiate arbitration, and as such cannot be arbitrated. While the final hearing in Cairn Energy Plc’s challenge to a Rs 10,247 crore retrospective tax demand will begin in August in The Hague, an international arbitration tribunal will in February next year begin hearing in British telecom giant Vodafone’s challenge to India using a retrospective legislation to seek Rs 22,100 crore in taxes. "We believe that the arbitration panel cannot decide on the tax demand," the official told PTI. India’s main contention in both the arbitrations is that taxation is not covered under any bilateral investment protection treaty and as such cannot be arbitrated. It is challenging the jurisdiction of such panels to adjudicate on tax matters. "If they overrule the tax demand, then India will not accept the arbitration order. We will continue with tax recovery proceedings," he said. "If the panel rules that tax demand is not proper, then it is questioning the sovereign, which we will not accept." 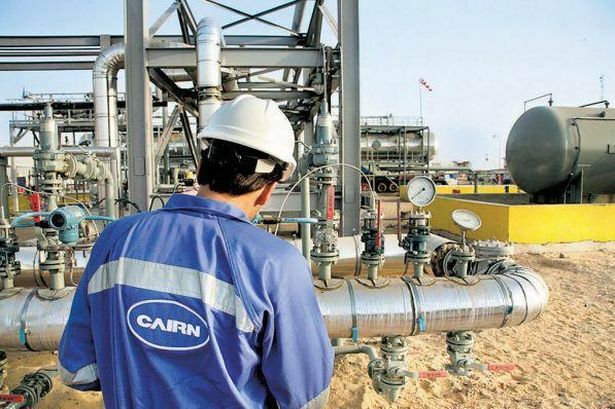 Cairn had initiated an international arbitration using the UK-India Bilateral Investment Treaty after the Indian government (in 2014) used a two-year-old law to raise a Rs 10,247 crore demand on a decade-old internal reorganisation of the company’s unit in the country. Following the draft assessment order of January 2014, the tax department attached the company’s residual 9.8 per cent shares in its erstwhile subsidiary, Cairn India, and confiscated over Rs 1,000 crore of dividend it was due to receive. A Rs 1,590 crore income tax refund was also confiscated. Vodafone had used the Netherlands-India Bilateral Investment Treaty to trigger an arbitration over India using the 2012 legislation that gave it powers to retrospective tax deals like its USD 11-billion acquisition of 67 per cent stake in the mobile phone business owned by Hutchison Whampoa in 2007. The official said India has challenged tribunal’s jurisdiction to decide on such matters. While Vodafone is supposed to file its response to the government objection by July, India will respond to this by December, thereafter the tribunal will begin hearing in February 2019. Vodafone has challenged the demand of Rs 7,990 crore in capital gains taxes (Rs 22,100 crore after including interest and penalty) under the treaty. "We continue to hold that tax demands are not covered under the investment treaties and we will tell that to the arbitration panels," the official said.